UCAS PGCE application – one step closer to my dream job! There are moments in life when you want something so badly that all your energy is going in that one direction. That for me is my dream of becoming a teacher. I remember when I sent off my UCAS form for my PGCE! Eek! For those that don’t know, a PGCE stands for Postgraduate Certificate of Education and it’s a postgraduate course you take after your undergraduate degree course. It gives you professional teacher status allowing you to work professionally as a teacher. The UCAS form is the same kind of format that you complete to be enrolled on an undergraduate course (so you still need to fill in your GCSEs, A-Levels etc with an attached personal statement) so it’s nothing you haven’t done before! I have always wanted to be a teacher ever since I started secondary school! I was a bit of a nerd at school (still am if I’m honest!) and now want to create an environment where other children can feel the same was as I did. 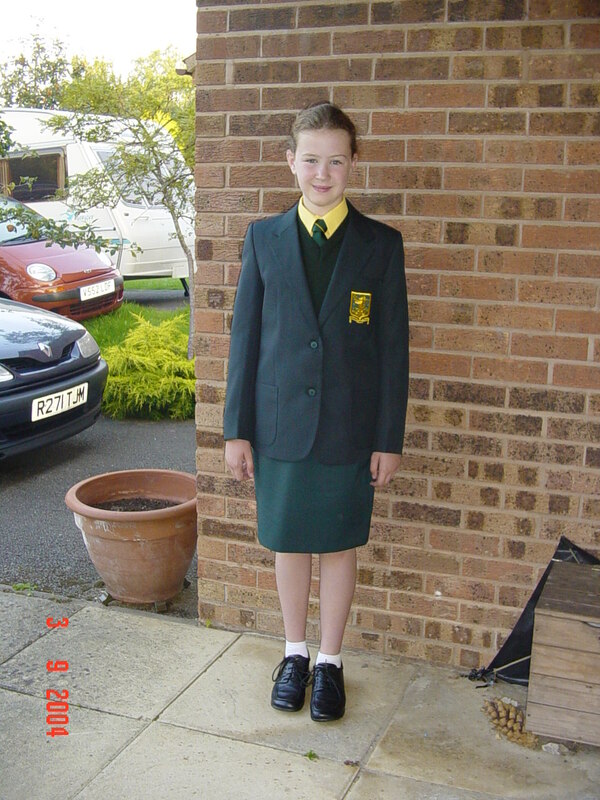 this is where my dream of being a teacher started.. how embarrassing is that uniform?! After submitting the form, you have to wait for references to come back from my academic tutors etc then the universities have 40 working days to give you an offer or not! Within those 40 working days, I remember that I also had to attend interviews, conduct presentations and take exams. It was a lot of work, but all I have ever wanted to be is a teacher, so all the work will pay off. I have had a lot of experience working with children in my job as a play worker at an Out of Schools Club and my ongoing experience in a Special School back home in Gloucester, so it’s the only career I feel passionate about! Good luck to anyone that has submitted or is going to submit their application soon – got my fingers crossed for all of you!